In year two of the Al Avila regime, the Detroit Tigers are working on restocking one of the worst farm systems in the major leagues. With the 2015 mid-season trades and some early drafting last year, the Tigers appear to be heading in the right direction. There are some question marks regarding some potential trades between now and Opening Day. 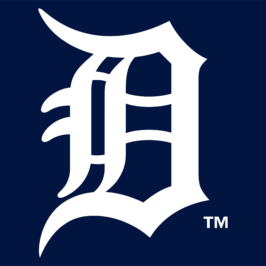 Major League regulars such as Ian Kinsler, JD Martinez, and José Iglesias could be on the move, thus giving the Tigers farm system more young talent. Rose three levels in 2016 with a combined 1.51 era over 53.2 innings. I have him projected as a closer and could be in line to take over closer duties in 2018 once current closer Francisco Rodríguez is a free agent. Has a great fastball and slider, other pitches could use work. Would like to see more work in AAA Toledo before moving to Tier 1. Was the Tigers 1st Round pick (9th Overall) in 2016. Has a good fastball that can top out in the high 90’s, while also displaying a decent curve, other pitches need time to develop. Could be a future ace, but far off from MLB. Was the Tigers 4th Round pick in 2016. He was also a Dodgers 1st Round pick in 2015. Was a four year start in college at Louisville. Struggles a tad with command, but could be a solid #3 starter. Had 2.65 ERA in 37.1 innings for Short Season Connecticut. Was the Tigers 1st Round (22nd Overall) pick in 2015. Another flamethrower for the Tigers, which a fastball that can top out at in the mid-90’s. Since he is young, I think he can grow just a tad more on it. His other pitches are decent and he could be a decent starter in the future. Had a 3.15 ERA in 97 innings for A West Michigan in 2016. A very exciting power prospect. I’m not fond of his average last year (.255 between A Lakeland and AA Erie) but has tremendous power and had a good OBP of .386. He hit 30 homeruns in 2016. If he can maintain the average, I could see him cracking the Major League line up in the near future. Another young outfielder for the Tigers. I’m intrigued by his speed possibilities and has shown a good average in A ball. Still a long way off, but I could see him developing into a solid contact hitter with 20 or 30 stolen bases a year. Has excellent command and average pitches. Had a 2.44 ERA over A and AA in 2016. I could see him as a solid #4 or #5 starter. I am not as high on Derek as others. He hit .266 with 36 steals in A West Michigan in 2016. He does have some health concerns as he missed time in 2015. He could profile out as Rajai Davis type player, a .250-.260 hitter with 30 – 40 steals. Hit .276 between A and AA last year. I think he could be an average outfielder with 15-20 home runs a year. He has a very good approach at the plate, but very average speed. Spencer has decent fastball topping out in the 92-94 range. He projects out more as a #4 or #5 starter. He had 3.45 ERA last year over 3 teams, mainly raised by a couple of bad rehab outings. He needs to work on his command and secondary pitches. Another player I’m not as high on as others. He didn’t do much in his few MLB chances last year hitting .214 and only hit .243 in Toledo. He did have a fantastic stint in the Arizona Fall League hitting .329 with five stolen bases. He does have some speed. JaCoby may get chance at CF in 2017 for the big league club, but I project more as a utility type player. I’d prefer to see him get another year in AAA Toledo. He is blocked at the MLB by José Iglesias, but I think he is ready for shot at MLB level. He has an average bat and some speed. He hit .266 with 17 SB in AAA Toledo. Matt has pitched well through two levels, but is more of a backend starter if he makes it. Had a 2.55 ERA over 127 innings last year. Relies on a good curve. Sandy had a 3.81 ERA in 113.1 innings last year as a starter in A West Michigan. He could either land as a reliever or a backend starter, with his fastball being his feature pitch. Has a good fastball topping out at 96 MPH. Had a 3.44 ERA last year over 89 innings. Used primarily as a starter. As he moves up, I project him more as a middle relief prospect, but could be a 5 starter as well. Arvicent had a good year at the plate hitting .303 for A West Michigan. He projects out to be a contact hitter and defensive catcher. He could end up as a contributor if he keeps his average up. If not, he would be a decent backup at the Major League level. Profiles out more as a utility player. Has a below average bat, but can hit for some contact. Hit .262 with 7 SB for A Lakeland in 2016. I love his fastball, as it tops out in the high 90’s, but could touch 100/101 according to some. He does struggle with command and it showed in his 21 games in A Lakeland. Between A Lakeland and A West Michigan, he had a 3.99 ERA with 14 saves. I think he profiles as a late inning relief pitcher. Has been used as a starter and projects to me as a #5 starter. Pitched to a 3.95 ERA over 161.2 innings between AA and AAA last year. Seems like he could be a good innings eater. Pitched as a reliever to a 2.66 ERA in the rookie leagues. He is another fireballer for the Tigers, having a high 90’s fastball. Probably more of a late inning reliever. Another fireballer with his fastball in the mid to high 90’s. Pitched to a 2.96 ERA in A West Michigan last year as a reliever. Another late relief prospect in my mind. Does have health issues, but if he stays healthy could project out as a setup or closer. Pitched to a 3.88 ERA between AA and A in 2016. Was used as a closer a bit in 2016. Had 9 saves and a 0.98 in two stops in A ball in 2016. Has a fastball that can top out in the mid-90’s. He could be a quick riser if he continues his numbers. Profiles as a reliever, very strong fastball in the mid 90’s. Had 13 saves for Erie with a 4.17 era. Has been used as a starter, reliever, and closer. Has 12 saves in 2016. ERA was 5.26 over 87.1 innings, but I think if he gets his command corrected, he could be a solid reliever for the Tigers as he does show above average pitches. Looks like a late inning reliever. Had a 2.41 ERA over 18.2 innings and recorded 22 SO. Has a chance to be something special. Hit .263 with only 1 HR and 3 SB in the DSL rookie leagues. He is still very young, but I think he has a chance to develop some power, as he does seem to have some pop in his bat. Just needs to get stronger and fill out. Has very average numbers at AA Erie. Can play all over the diamond, but looks to not stick at 1B. If he makes the majors, could be a utility man, but not big upside as his bat hasn’t progressed and he has no speed. Received in the Cameron Maybin trade and not high on him at all. Profiles more of a reliever. Tops out with 99 MPH fastball and a decent slider, below average others pitches. 4.30 ERA over 111 innings in 2016. Used as both reliever and starter in 2016. More of a defensive catcher. Blocked at the MLB levelby McCann, probably more of a backup. Not much pop, maybe a .240 – .250 hitter if he were a full time regular. Used as a starter, with a 3.03 ERA and 62 so in 2016. decent fastball that can hit 96. other pitches below avg, so he is a solid relief pitcher. Did not pitch in 2016, but had a fantastic 2015. Projects out as a reliever with good strike out numbers. Had a 1.91 ERA with 30 SO in 47 innings of relief in 2015. If he can recover from his elbow strain he could be a relief sleeper for the Tigers. He is still very young and did well in the Dominican leagues. Good potential for power. First exposure to US led to a .188 average but he is still very young, so if he adjusts he could be a sleeper to move to the bigs. Only hit .221, but had 26 SB and drew more walks. Has good speed and could be a good utility piece in the future for that speed. If he can develop a better eye and raise his average, I could see him being a good bench piece. Only pitched one game in 2015, I’m not as high as other services. Had Thoracic Outlet Syndrome surgery and missed rest of 2016. Good stuff before injury, but injury concerns worry about me about his return. Hit .215 last year, but had a dramatic increase in power hitting. He hit 15 HR. Since he is blocked in the majors by Castellanos for the near future, could possibly be a moved to OF. Will make majors on bat, not defense. Hit .186 in Lakeland. Still has some room to fill out and has some power that I think he could tap into if he worked on his plate discipline. Has a 92 mph fastball. Used in relief. As he ages, could still get some speed on his fastball. Had 4.12 ERA in just under 20 innings for GCL Tigers East. Hit .297 with 7 SB. Has average speed but could be a good contact hitter as he fills out. Returned from 2015 injury to a limited 2016. Used mainly as a starter, but could go either way. Mid-90s fastball. Hit .273 last year in AA Erie. Has some pop and speed. More likely a bench reserve player or defensive replacement if he ever makes the bigs. Primarily used as a RP and had a 3.70 era in AAA Toledo over 80 innings. More middle relief. Could appear in 2017. Has very average pitches, featuring a high 80’s fastball. Hit .229 in Rookie ball. Didn’t show much last year, but had a productive 2015 his rookie league campaign. Has some power that could develop as he fills out. Was used as a RP after signing as an undrafted player. He had a 3.68 ERA over 7 innings, so a very sample size small. He did have a 5.68 ERA his junior year in college before signing with Tigers, mainly playing as a starter. Has a decent fastball with his potential being as relief. Is a 2016 international signing and yet to play in US. He is a switch hitter and relies more on speed and defense. I would expect if he pans out to be more of a SB threat. Is a 2016 international signing and yet to play in US. Tall, lanky, and seems to have some raw power. Years away from the big leagues. Had 4.91 ERA over 3 levels in 2016. Removed from 40-man and had a brief stint in the majors in 2015. With age and declining stats, unsure if he ever gets back to MLB. Speedy outfielder that hit .294 with 5 SB in the rookie/short season leagues. Has a 3.20 ERA in 25.1 IP in Australia. Is 16 years old and a long way off, as he can’t play in US until 2018. Muchas gracias. La fecha de nacimiento fue incorrecta. Dijo 1994 en lugar de 1997. Corregido ahora.